Republican state Rep. Allen Skillicorn (R-East Dundee) doesn’t mince words when it comes to sizing up what he thinks House Bill 825 amounts to. Still, given the Democratic super-majority in Springfield promoting the legislation, Skillicorn worries that it could pass any day now, saddling already cash-strapped taxpayers with yet another sizeable burden. With that, the veteran lawmaker said he is committed to doing all he can to stem the tide. 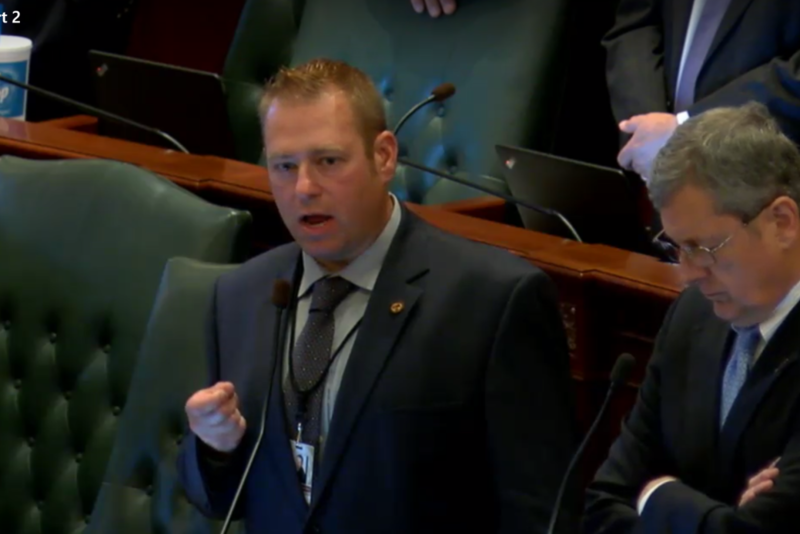 According to Skillicorn, the bill would amend the Illinois Municipal Code to modify the definition of "sewerage system," paving the way for storm water collection, treatment and distribution infrastructure and disposal of storm water to be included as taxable. As it is, Skillicorn said Illinois residents are already taxed for storm water collected by sewerage systems, adding that the unlimited nature of HB 825 makes it even harder to swallow. According to WalletHub, at nearly 15 percent, Illinois residents already pay the highest combined tax rates in the country.